It seems every crafty blog and Instagram account is currently gearing up for July 4 by covering everything in red, white, and blue. 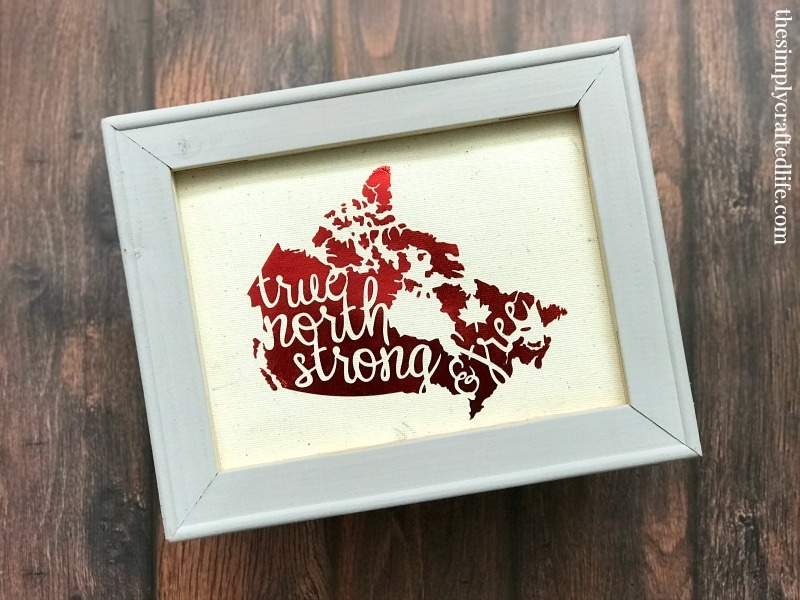 However, I’m here to remind you that your Cricut Maker and Cricut Explore machines can be your best friend to help prepare for another red and white holiday: Canada Day. I created this oar (or is it a paddle?) in Design Space specifically to share with you. 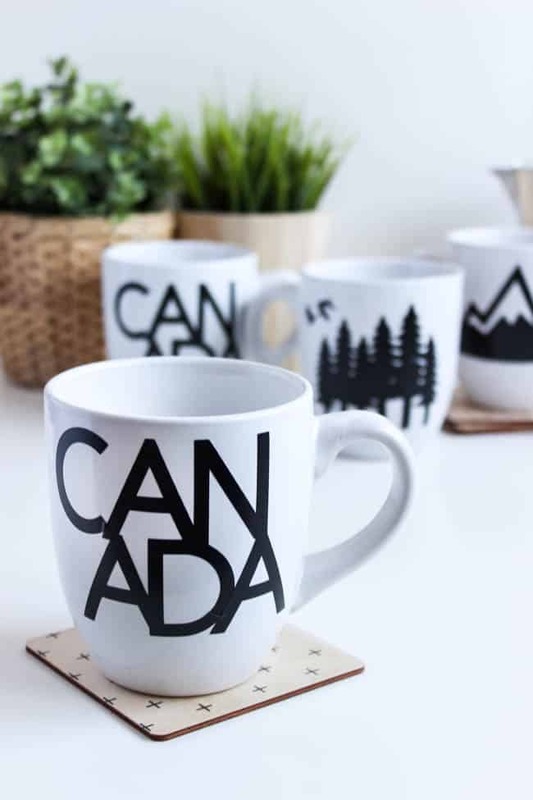 It’s easy to create using a map of Canada and the slice tool, but you can visit Design Space and the project will be completely ready to create. Just hit Make It! The new premium permanent vinyl will make sure your project lasts for many more Canada Day celebrations. 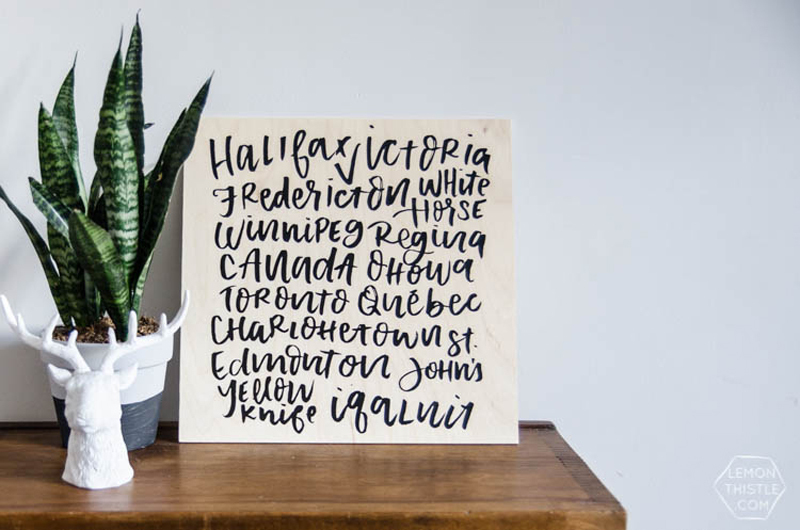 Lemon Thistle shared this home decor project, which uses iron on and wood to showcase some of Canada’s cities. I love the hand-lettered design, which is a cut file she offers for download. 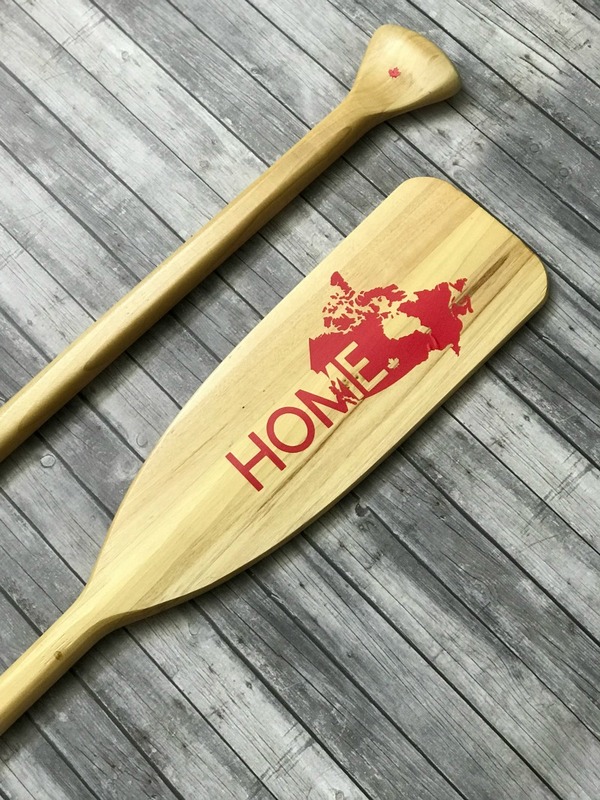 I shared this Canadian themed project over at my blog, The Simply Crafted Life. It was my first time making a reverse canvas, and I used the red iron-on foil. Mine is sized for a 8x10 canvas, but you can customize it to the size of the canvas you wish to use. Another Canadian wall decor project that I love comes from PMQ for Two. 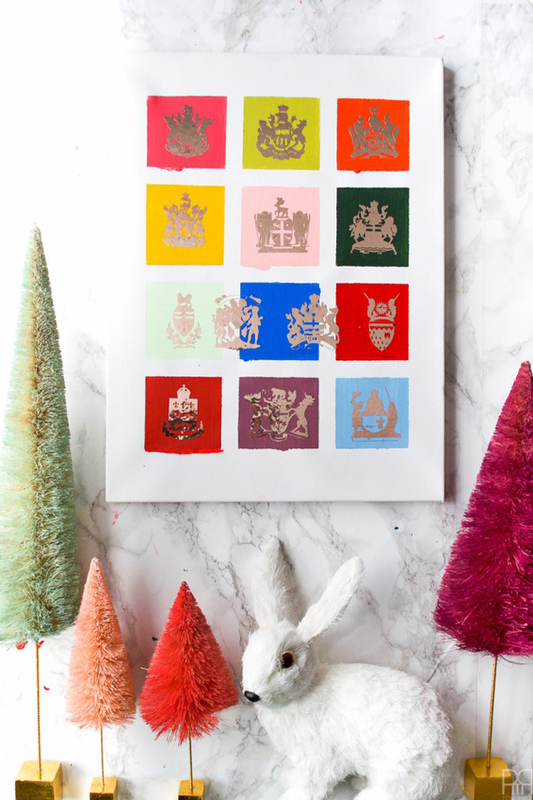 She used paint and rose gold adhesive foil to create this Coat of Arms display. It incorporates each of the provinces and territories, plus gives an unexpected pop of color. Change up the colors to match your home decor and you have a fabulous, year-round art piece. 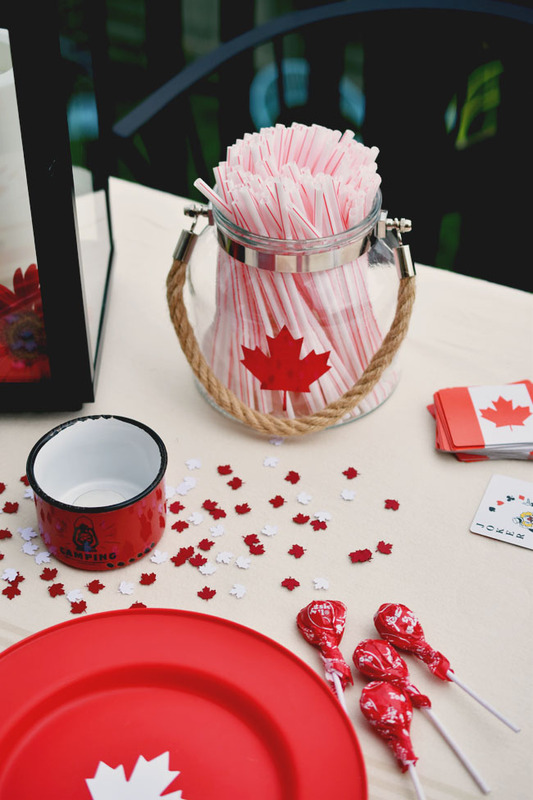 If you’re having a party this Canada Day, or even a sports gathering to cheer on your favorite Canadian team, you’ll definitely want to check out this post from Woman in Real Life. I love how she incorporates the maple leaf into all of the little details. And of course, you’ll need some Canadian swag to get yourself ready for those parades. 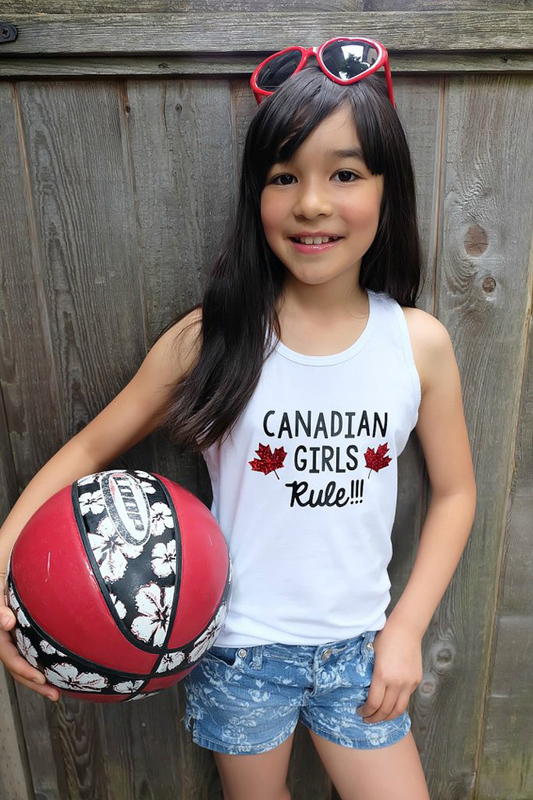 Any of the above designs can be used on t-shirts, bags, hats, or other accessories that you can wear, but if you need more inspiration, Hello Creative Family is sharing thirteen SVG files that she created especially for Canada Day. 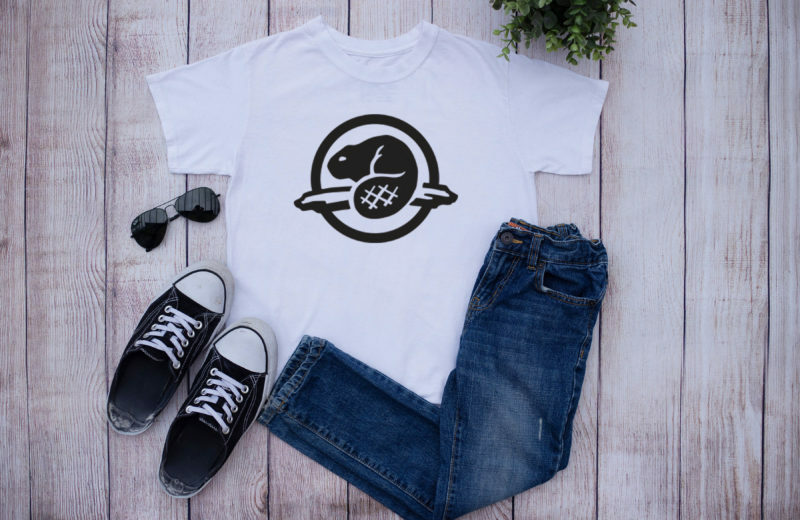 And finally, Brooklyn Berry Designs shared this Parks Canada logo tee that sparked my inner child. It reminds me of so many heritage commercials when I was younger! Using your EasyPress will make the application process so much easier, and in no time at all, you’ll be ready to celebrate. Now if these projects don’t inspire you to cover all of the things in red maple leaves, I don’t think anything will! I can’t wait to get started on my own projects, although the hardest part will be deciding which one to make first!